The poem is about Genghis Khan, the mighty Mongolian warrior who by the year 1227 created the world’s biggest empire before the British Empire. The Mahinda Rajapakse forces, like the malevolent armies of Genghis Khan, are hell-bent on invading Colombo, dislodging the democratically elected government and retaking power once again. For what? One is compelled to ask. Genghis Khan had a purpose. But Mahinda? The government has another one and half years to go to complete its duly won mandate. It isn’t seeking to extend its hold as Rajapaksa did by his autocratic 18th Amendment. The UNP government has no siblings to pass on power to as Rajapaksa has. Democratically, the electorate can ask the government to account before it for promises made only at the end of its period. Yet, Mahinda Rajapaksa must invade and surround and capture. For what? This question keeps coming up like a rubber ball pressed into water. What on earth does Mahinda want to do now that he couldn’t do during his decade-long regime with all the power of a dictator. Offenders can mask as liberators. Mahinda and his men are suspect before the law for countless alleged offences. Personally, Mahinda can escape court because of the legal immunity the Constitution gave him. Those who took orders are in trouble like Lalith Weeratunge. The men he put in charge of his government’s key institutions were mostly his kith and kin and close stooges and they all have played riot with their jobs. His first cousin who worked as US Ambassador is at large over serious allegations of fraud. His brother -in law who ran Sri Lanka’s airline is faring too badly at the Presidential Commission. The amount of money involved in both instances runs into millions. An embassy cannot go broke but the Sri Lanka Airlines, instead of flying in the air, ran down to the ground-dead broke! Then, we have Mahinda’s another first cousin, Udayanga Weeratunge, who was Ambassador in Russia, who has to answer prima facie evidence of serious fraud presented by his accusers. Udayanga is also said to have been in the controversial deal of the MiG jets purchased by the brother of Mahinda- the powerful Gotabaya of Viyathmaga and Eliya and whatnot. If these accused feel innocent why do they abscond and dodge court? Gota himself is seriously suspect over high profile murders and brutal assaults said to have been carried by a hit -squad he is supposed to have operated. We had disfigured pictures of Keith Noyahr recently over social media. The list is too long, but we cannot miss Basil, the other powerful brother, who is also before court. Basil is said to have built a luxurious house with unaccounatble money. His only defence is denial although the building is materially there. His wife is supposed to have been overseeing the construction but now both claim they have had nothing to do with that bungalow. That is one of the mysteries left behind by the regime. The other hilarious mystery is over a house bought by Mahinda’s son, Yoshitha. We have to believe that the house was paid for by the grandma who, in turn, was visited by an angel from heaven with a bag of gems that she sold to get the money for her adorable grandson. This kind of story beats Aesop’s fables by heaps and bounds! The money said to have been played out by the Rajapaksa cohorts run into millions. Mahinda’s private secretary Gamini Senerath is now before the Special Court Trial -at Bar and the money involved is simply over millions. Apparentl, the Rajapaksa hordes never took small amounts. The fact that President Mahinda Rajapaksa watched over all these misdemanours for ten years without even making a pretence to be fighting corruption or swaying his sword against that as a threat, speaks volumes in support of the sub-text that he did benefit by all these. The same also applies to the range of murderous activity that took place under that regime. The brutal killings and disappearances of numerous journalists and others are well on record and are under investigation. If anything comes off these enquiries, those who carried out orders will get caught and those who gave orders will stand immune. What a weird sense of justice does this constitution have? Mahinda Rajapaksa lied when he promised to rid the country of that constitution and now he opposes the current move to change it. Mahinda wants power back together with that constitution. Mahinda’s regime left a severe financial crisis behind them. National indebtedness rose to 82 per cent of GDP! None of the projects, even the useful ones like the highways, could be payed back out of earnings from the projects. The Airport without flights and the harbour without ships were only flattering to Mahinda’s ego at the expense of the people. They are illustrations of foolery and stupidity. Mahinda’s army unlike the army of Genghis Khan, is fighting without national purpose. The danger is that Mahinda shows no remourse for what transpired under his watch. He cannot honestly do so as he is an amoral individual to whom moral values are empties. Nor does he present to the population a new style of government. There is a purpose but that is personal, namley, to get the court cases abandoned; his guilty men released of their worries. The other purpose is to continue to amass fortune. Even Hitler had a purpose and that was to rid the land of Jews. To be fair, Mahinda aims at no such genocide. On the other hand, he wouldn’t budge at setting off one ethnic group against another as a measure of being in power. In this sense, his slogans of Sinhala nationalism resonate with the Fascist times. It is clear the Rajapaksa forces focus on the politrix of the situation. They bring out all the tricks under their hat to swerve the political game in Sri Lanka in their favour. Ever since they were dislodged twice they adopted a two-fold strategy. First was to create a fear among persons at decison-making level that they will make a comeback soon. This was to discourage officials and politicians from carrying out action against the Rajapksas. Even a few UNP Ministers got trrapped into that-not to speak of officials. The second strategy was to hurl back the accusation of corruption onto the government side. Rogues try to escape calling their accusers rogues. Unfortunately, they could not call them murderers as the government has not killed any opponent and prtoestors are allowed to obstruct normal traffic all the time without getting anything more than a water bullet. This is wisdom on the part of the government. In the game of politrix there isn’t any space for economics. On the other hand, the Sri Lanka economy cannot wait anymore for rectification. Bad economics is the root cause for most ills in Sri Lanka. Unless the economy is rectified Sri Lankan society will collapse. But Mahinda’s hordes have no solutions presented for that. There was of,course Gota’s economic plan, said to have been borrowed entirely from that of Ranil Wickremasinghe. The weakness of the Sri Lanka economy is derived from two sources. First, we have a peristent fiscal deficit arising out our national habit of going for endlessly expanding expenditure without commensurate increase in revenue. Politrix has been playing a role here. Our politicians cry halt at taxation but keep wanting to spend. The population has also come to believe that the government of the day must give them all the services they want but are unwilling to let the government find revenue through taxation. The economic truism that expenditure can come only where revenues are available has never been realized by the politicians and the public. Poltical populism feeds into a syndrome. The second source of weakness comes from a basic structural disorder in the economy in that we have become a debt economy. Almost every year since independence, Sri Lanka has had adverse trade balances. Our imports keep growing but the growth of exports is insufficeint to meet the import demand. Over the last three years, we have achieved a definite growth in exports but the import bill has climbed even further. A resulting balance of payments crisis has been averted only by foreign remittances and tourism. This condition cannot go on without causing serious damage to our standard of living and the quality of public services like eductaion, health etc. The need for intense investment in economic growth ventures is paramount. In this connection, the government’s encouragement of enterprises at local level is commendable. The yahapalayana government, avoiding politrix, is focussing seriously in economy remodelling. The Prime Minsiter and the Finance Minster must be commended over the recently opened “Enterprise Lanka,” program where loans are given at low interest to young entrepreneurs to start ventures at local level. The program started off in Moneragala district and will spread to Anuradhapura , Jaffna etc soon. It is clear the government is on the right path here. Having restored the lost democartic liberties the yahapalanaya government has at last got into the right path as far as the economy is concerned. Rajapaksa’s politrix runs counter to the serious economic relalities that the government is currently giving attention to. Mahinda Rajapaksa must be serious about economics and not politrix. Why you worry if Dr Ranil has done so well to serve the Lankans ..
Dr Ranil gave his Adopted Son ( or is he God Son) the TT to hold his Wedding which is a First in Lankawe Politrix. 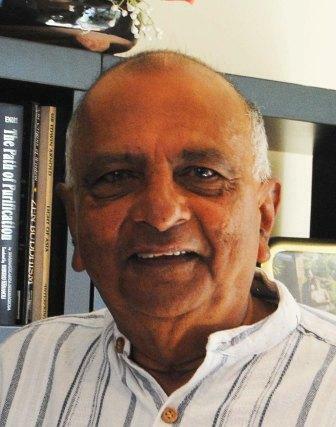 Lalith Weeratunga was jailed for giving Free Sil Reddi to Lankawes’Upasaka Ammes. Dr Ranil can’t even find the Mobile Number of his mate in Singapore, who helped the Son in Law to rip off the guts of the EPF to the tune of 11 Billion Rupiahs . Andt gave Aloysious Senior enough Dosh to buy 24 Businesses in Colombo, including the largest Brewery which produces our national drink. Total loot under Yahapala Economitrix must be close to one Trillion if one adds up the Srilankan , Central Expressway, Mattala. Magampura, Tricomalee, SFTA and ETCA santhosams. The the Senior Stalwart Mr John Amaratunga who must be a good friend of Shaymon told the reporters that the JO will be struggling to get 25,000 drunks, even with free Bath Packets and free Bus Tickets. And Mr Shaymon is loosing sleep over it. BTW Wonder wher My Shaymon got that National Debt figure.. 82%.?…. Do you remember the name of the retired Major General who was attached to Sri Lanka’s State Intelligence Services (SIS) who went all the way to Malaysia to receive KP in an prearranged meeting in August 2009 and presented it being a Sri Lankan intelligent led arrest? Can you not persuade Ranil to send the same Major General to Singapore with the view to arrest Arjuna Mahendran? First, let me begin with the last point made in the article with regards to the so called “Enterprise Sri Lanka”. The crux of the matter with regards to the governments that rules/ have ruled is, that they have a secret agenda that works in reverse leaving the country from progressing as a one single nation rising against the odds that is seen in the world today with tough economic challenges posed by the Global Zionist Mafia. How can you call the Sira/Ranil govt is doing something to help the populace with hollow slogans called “Enterprise Sri Lanka” when the Secret Agenda (Sinhala Racist) proponents are given a total freehand (with the full blessings coming from Mahanayakes) burning down the Enterprises belonging to the so called “Others” under the JHU/BBS ultra racist constitution???? 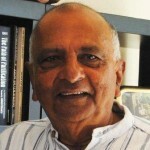 Sira openly backed the Gnanasara element with a signal hinting the state backing given to the 70+ years of Sinhala Buddhist Terrorism ( which is the only type of Terror in the world which is still allowed impunity in the local & International levels) which has costed killing of thousands of innocent citizens (TAX PAYERS) and burning down their life long earned livelyhood. Sinhala Buddhist Terrorism is still active and even being funded by the Zionist Western powers. The backing given to the Terrorist Gnanasara is huge when you take his high flying foreign missions that he was assigned to. Sirisena accompanyed him to the Japan trip to be on his side. I mean, WTF that this criminal Zionist agent got to do with a govt delegation in promoting the country for anything? The biggest quedtion mark lies about the Visa authorization given by the Japanese govt. What is the message they are trying to give the world and for the Muslim world that has provided millions of jobs to the Sri Lankans and the foreign revenue earn by this is helping the economy for nearly four 4 decades? Even the war could not be over if the SL govt did not have the steady foreign revenue had not flown into the coffers at the right time….. What is the hidden agenda behind destroying the Muslims????? Why did the Rajapaksas pillage and murder when they were in power? Because they had never even dreamed they would be ruling the country one day, let alone defeat the LTTE. And so, lost their heads when they did. Mahinda amassed so much power and following simply because he happened to be the president when the war was reaching its logical end. Over 30 years of fighting by the armed forces led by a succession of commanders under 4 previous presidents, Prabakaran’s grave diplomatic blunders, declining military capability of the LTTE, Lakshman Kadirgamar’s contribution, favourable international developments and changes in geopolitical configurations resulting in more military aid and support – all converged right at the time Mahinda came to power. Once the unthinkable was achieved, for the Rajapaksas, who had no real political ideology or proper education or even a sense of values, it was open license to rob, murder and destroy. This is what came to them naturally. What you wrote is correct and sad. Unfortunately it is the many ignorant singhalese villagers who will decide on the faith of our country. Should you enlighten more, the punac eating populace who is still going behind this Murderous and Most Corrupt Ruling Family Sri Lanka has ever produced. You can take the donkeys to the water, but surely you cannot drink, on their behalf. The worst of above clan, the so called learned i….s, Gonawardanes, Vasideva, Gommampila and the likes can be described as the ultimate traitors who sell their learned souls for the detriment of a Nation. Mega Rogues and mass murderers are going to round up colombo on the 5th. In the meantime patholaya is busy working out a plan with medamulana meeharaka to dislodge UNP from office. People are getting frustrated due to continuous strikes by IUSF, GMOA and CGR. The whole issue is our law and order situation. 2Judges excuse themselves from key cases sighting conflicts with no reasons given. 3Police is inactive and have knowledge of financial crime. Bribery Commission has no experts such as IT wizards, bankers and accountants to nail down financial irregularities. 5Ruling party has no intention of doing the right thing by the people. Look at what has hapenned around the world over the last two years on corruption. 3 President Lula in Brazil is indicted within 2 years. We have no hope simply because of the law and order situation in the country. 1. Robbing the Central Bank with a International Singaporean Robber. 2. Selling the Hambanthota Harbour to Chaina and pocketing out commisions. 4. Making plans to sell Maththala Airport to India and deposit the commisions in overseas banks..
7. Renting out the PM’s Official residence for weddings. 8. Getting a hounary PhD from an Australian University for developmening this Economic Modelling plan. The list is never ending, I will invite other friends to complete the list. Economic Re-modelling! what a fancy word. You deserve a “”Pina PhD”” for coining this. Oh boy, what substance are you on?. Must be new to the island. Get a life you moron. POlitricks of the situation is relevant to all. It’s politricks of the situation that made MS the president & RW the PM. Not MR, not RW, not MS, not even AKD, people want politricks of another 2 from ruling & opposition to work out. Signs of TA of UNP launching, but where’s one from other side, all are in Rajapakse grip. Shaymon, Genghis’s off-springs may be behind this, though our buffoons choose not to understand. ABOC failed and Attorney General has become a obedient poodle of the govt. Secondly, why all these hair splitting arguments about the economy and diffficult to understand words, when the economy should work for an agricultural country. Sri lanka is not Respurce rich Australia which can run an manufacturing and export economy. A small island with stupid but wanna be expertss and specialists politicians. Why Sri lanka can not focus on Agriculture and intelligent youth or human resource capital. Ranil and his majority established that they are thieves. Even Omnipotent Ranil and Maithripala sirisena could not any successfulprosecution with Rajapakse govt. other countries like singapore,china, hve leaders who are educated.Others have,likrerussia/Putin. usa/trump,merkel/germany have leaders who put country first.Unfortunately we do not have either. Maybe we have DRC(denmocratic republic of Congo) or Nigeria types where the politicians together with their chinese masters rob the natural resources and keep their countrymen very,very poor. One of the best articles that CT has ever produced. Who knows. This govt. prevented local govt. elections. They have now prevented Provincial Council elections in three provinces with no dates announced for elections. It may very well seek to extend its hold as did the Rajapaksas with their autocratic 18th Amendment by the time elections are due. One of the most atrocious crimes, that somehow did not capture the imagination of the public, was the multiple-murder of over 2 dozen convicts within the Welikada Prisons compound. It was widely believed this unprecedented mass killing that went on for more than a day was, in fact, a continuum of the War for the monopoly of the very lucrative Heroin trade – growing exponentially in the country in the last few years destroying thousands of men and women – including teenage students. Here a very powerful VVIP within the regime took the side of a young and ambitious Gangster-Drug dealer. The latter cleverly got rid of the opposition by getting his influential friends in the regime to eliminate the many notorious IRCs in competition with him. In fairness to the senior Welikade Prison authorities it must be said they protested the illegal coming of the Army inside the Prison premises. But they were rudely brushed aside on higher orders. This can happen again, perhaps in a more devastating form, if the Rajapakses manipulate the system to break into absolute political power again. This sensational incident must be thoroughly and transparently investigated in the name of the rule of the law in this country. In 2005 the size of srilankan economy was 25 billion USD percapital was 1000 dollors , FDI was less than 200 million USD since independence to 2005. This small economy was converted and architected by slfp of Mahinda the masters of economic management in to 80 billio USD in just 10 years this was perfectly a pure capitalist business economy which was architrcted by the masters of economic management the slfp of Mahinda,the percapital increased in to 3800 usd in just ten years, foreign direct invest ment reached the utmost point of 1600 million usd. Why we are saying slfp of Mahinda as the masters of capitalist economy because they have the performance track record. The unp the party and people like Jr or premadasa or ranilor gamini or lalith who all does not have any ability even to uplift the srilankan economy at least up to 15 billion usd can be even take in to consideration to compare with slfp government of Mahinda. Unp only knows the mixed fail janasaviya economic system. If any one challenging me that unp can be compared with the master of capitalist economic management the slfp of Mahinda show me the economic performance track record of unp and poor 15 billion usd economy. Gotabaya the architect and the main master brain of capitalist economy and urban development can be compare any one in past or present in unp the party who had or have an ability to uplift srilankan economy aleast up to 15 billion usd and does not have basic economic management ability or implementing things. So please if any one love unp show their performance track record in economy before blaming slfp or rajapaksas the masters of economy. Writing about economic management of a poor party like unp is equal to talk about the democracy of slfp governments since slfp governments are vert tough rulers. Now in srilanka the people are requesting performers not losers. In Economic management slfp of Mahinda are performers that is why they arcitected this 80 billion usd economy In just 10 years. That is why they have identified the masters of economic management. They are perfect capitalist and business wright wing. That is why the entire business community like them (we viyathmaga shangrila show that to the world),80% of the upper middle class and middle class are block voters for slfp of Mahinda .that is why they are winning kaduwala,homagama kesbawa ,jaela ,gampaha, mahara by majority of 50000 votes. What is the case of unp they never seen a economic size more than 15 billion usd and the people like Jr or premadasa never had and administration ability to uplift srilanka economy in to 15 billion Usd. A government or party like unp unable to uplift the economy up to 15 billion usd can be considered as a capitalist party or wright wing unp is not a capitalist party or wright wing like slfp of Mahinda ,it is only a poor party doing mixed economy. If any one argue the unp as capitalist party show me the economic performance track record. Is a party like unp can form a business class among 15 billion economy. You know there are 15% middle class loving unp and their justifying their failures this people blaming rajapaksas because of they do not have any economic performance records of unp. If any one have that please show us like how proudly slfp of mahinda doing other wise the words are useless. Gandasara and Rajafucksa’s should share the same cell room at welikada some day. Just dreaming of that day. Hope MS and RW wake up from there deep slumber. In the home vs home team (final?) both teams must be held responsible for the damaged playing field. The real tragedy is powerless-poor-us having to choose one of two baddies. The United States recorded a government debt equivalent to 105.40 percent of the country’s Gross Domestic Product in 2017. Government Debt to GDP in the United States averaged 61.70 percent from 1940 until 2017, reaching an all time high of 118.90 percent in 1946 and a record low of 31.70 percent in 1981. You have a non-economist baka pandithaya view of national debt. Owa gihin kiyapung konde bandapu cheenunta. Go tell it to Chinese men with hair buns. A lot has to be considered when it comes to debt. Are the debt service payments steadily increasing, what is the debt service ratio, does the country have the ability to raise taxes or sell off valuable assets in order to meet debt service payments, what is history of honoring debt payments, etc. Can Sri Lanka come out unscathed when such criteria are applied by lenders? Massive debts are a form of taking advantage of–even stealing from– future generations for the current generation’s profligate ways. The US and Singapore are not without deep problems despite their outward success. You need to look another two factors. Lankawe Interest rate is 36% and US rate less than 3%. The loan US raises mostly for developments. So the loan has the capacity to cover it-self in the loan term. Lankawe loans are deposited in foreign banks and the rest are on failed White Elephants. How the loan going to be repaid? This is a disgraceful lament by a man who only knows to wash the feet and worship a man who has robbed our Central Bank. He knows nothing about running the country and wasting everyones’ time. The boot lickers keep serving him. There is good debt and bad debt. Debt for infrastructure with a long vision for development is good debt, SJ’ s Yahapals debt for consumption is bad debt, it is like a housing loan vs a loan for a wedding. The former gives platform for stability and development of a family and leaves an asset at the end, the latter leaves nothing after the party. It is clear and logical there are tricks or trix in that. An excellently presented piece, Shyamon. Precise and evidenced-based. Great article,SJ.Briliant. MR and etc are an ignorant lustful lot who should be kept out of politics and in jail indefinitely. They have committed enough crimes. Wanni we know you are a self made economist but my sincere advise is dont let the whole public know about it. WOW how you could explain a national issue in such simple terms. Amazing Bro, I am with you. If that great economist S.Swamy comes to know of your existence he may pretty well consider you for the award. It is easy to criticize Mahinda, but the author should explain his own plans for economic development. The author should also explain how he would have defeated the LTTE in 2006-2009, since economic development is not possible otherwise. No doubt, there was corruption during the Mahinda time, but there is corruption everywhere! Let me give one example: these countries like UK and USA trying to bring down Sri Lanka down with “human rights violations” in the UN. They are selling billions worth of arms to countries like Saudi Arabia. Saudi Arabia has been committing genocide in Yemen. The author lives in Australia. Why is Australia in Afghanistan, stealing the natural resources of that country, like oil and minerals?